Manufactured by ProVia to compliment the tough and durable LHP Renter's Doors. These reinforced entry doors are an LHP exclusive and are complete with a 5 year manufacturer's warranty. 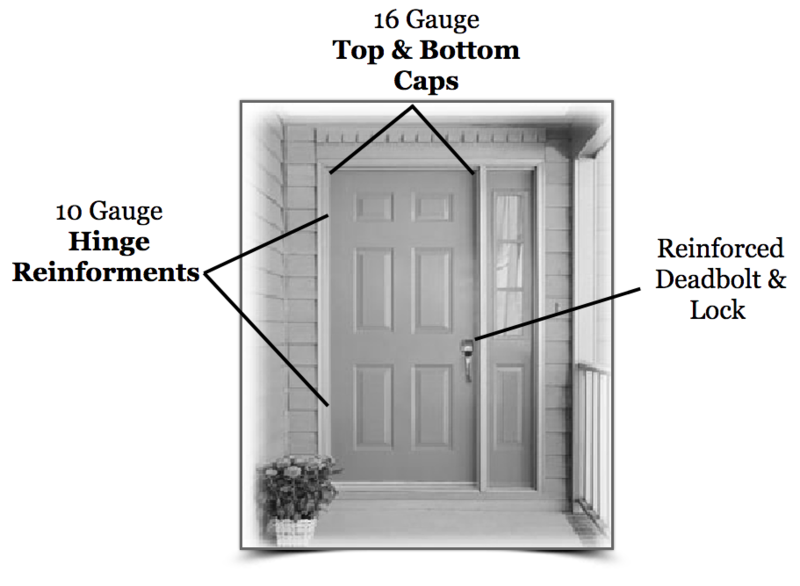 20 Gauge Steel Entry Door gives 49% more galvanized steel than a 24 gauge door. Polyurethane Core for maximum efficiency. Heavy duty ball bearing hinges. 16 Featured colors to choose from. 16 Gauge Top and Bottom Caps. Lock and deadbolt area reinforced with 14 gauge steel lock block. Pre-Hung Style – 16 Gauge Adjustable Frame with 11 Gauge Hinge Reinforcements and 11 Gauge Strike Reinforcements. 12 Gauge Reinforcement plates on the jamb and head for storm door closure and wind chain attachment. The storm and entry doors we purchased from Lansing Housing Products are the best available for purchase. They are easy to install, excellent against cold winter wind, secure and strong. Having public housing units for families, we needed sturdy doors. We purchased our first set of Lansing doors in 2003 and purchased more in 2010. Parts are readily available for any damages that occur.